“Historic Preservation: Facts and Fallacies” of Preservation and Adaptive Use, for Columbia University School of Architecture program in Salem, MA 1974. “What’s Happening in New England” for the New Jersey League of Historical Societies, Scotch Plains, NJ, 1975. “The Battle of Short Hills” Union County Technical Institute, Scotch Plains, NJ, 1977. “Vestiges of Boston’s Church in Brattle Square” for the Dublin Seminar for New England Folklife, Dublin, NH, 1979. “Faneuil Hall” for the Boston Heritage Series of the Boston Public Library and National Historic Park, 1980. “Boston's Georgian Legacy: A Reappraisal” at Eliot House, Harvard University, for the New England Chapter of the Society of Architectural Historians, 1980. “A New Perspective on Charles Bulfinch” for the Doric Dames, State House, Boson, MA1981. “Orchard House”; “A. 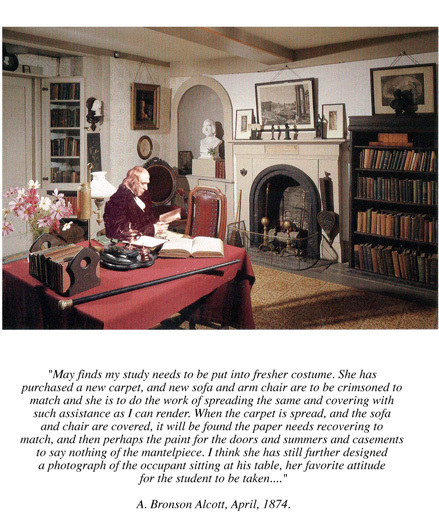 Bronson Alcott, Transcendental Architect” for the Louisa May Alcott Memorial Association, Concord, MA, 1981, 1996. “Architectural Evolution in Some Wellesley Houses” for the Wellesley Historical Society, Wellesley, MA 1981. “The Way They Were”, Boston Town & Country in the 18th century, for the Old South Meetinghouse Association, Boston, MA, 1984. “If Walls Could Speak”, Researching Historic Properties, for Weston Historical Society, Weston, MA 1988. “Off the Walls” for the National Society of Colonial Dames of America, Boston, MA 1988. “ Bulfinch’s Europe”, for the Society of Architectural Historian, “The Shirley-Eustis House – Home of Two Massachusetts Governors”, 1991, for the Fox Hill Village Resident Services, Westwood, MA. “History of the North End Cityscape, 1635-1950” with David Hart of McGinley Hart & Associates, to the North End Historical Society, Boston, MA, 1993. “Town and Country in the Revolution”; “Evolution of The Loring-Greenough House” for the Tuesday Club of Jamaica Plain, MA, 1982, 1998. “18th and 19th Century Carriage Houses and Barns”; “Meetinghouses of Oldtown”, for the Natick Historical Society, Natick, MA, , 1998, 2001. “Coach Houses in Federal New England”; “Edward Devotion House, Widow Harris House, and Putterham School”, for the Brookline Historical Society, 1998, 2001. “Everyman’s Petit Trianon – Boston’s Great Estates of the Revolutions” for the Devens Lecture, Museum of Fine Arts, Boston, MA 2000.